The federal government is automatically assigning each Australian a digital health record unless they opt-out. Now, a debate is raging between GPs, peak mental health bodies, hospital staff, privacy advocates and computer security professionals about the benefits these records provide weighed against privacy concerns for such deeply intimate files. Matt McInnes is among those attempting to opt his children out of receiving a My Health Record, the federal government’s shared digital health file designed to collect and store Australians' medical information by the end of 2018. The system promises to centralise health records, allowing patient information to be readily available to various medical professionals across the country, and potentially save lives by, among other benefits, alerting doctors of patient allergies and medications. 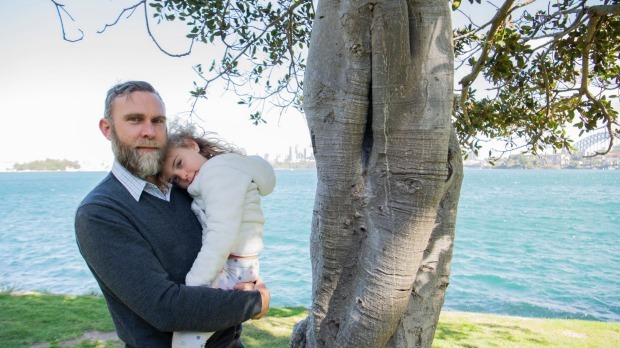 But McInnes, a father-of-two from Cremorne on Sydney’s lower north shore, says he’s simply not satisfied that enough thought has been given to the consequences of getting it wrong. “I don’t trust that this is a secure enough set-up,” he says, prior to news breaking late on Friday evening of a major cyber attack on Singapore's government health database that saw the personal information of about 1.5 million people, including Prime Minister Lee Hsien Loong, stolen. So far, McInnes has been unable to prevent his four-year-old daughter Freja from being put on the system as she’s not on the same Medicare card as him. He, like others, has until October 15 to opt-out or have a record automatically created. “There are 100 reasons why you wouldn’t have a shared Medicare card,” he says, pointing to shared custody scenarios and non-traditional families. 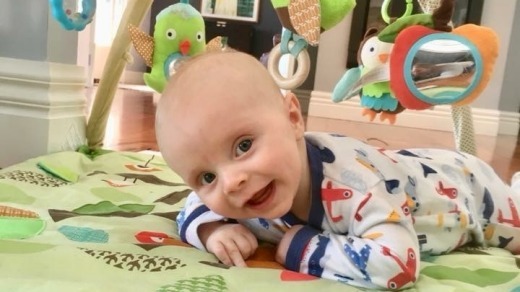 Another father, Craig Joyce of Hesket in north-west Melbourne, says he spent multiple hours on the phone to the My Health Record helpline this week after discovering his four-month-old son James already had a record. Exactly how it was created remains a mystery, but he says an operator suggested it may have been activated at birth or during a vaccination while filling out paperwork. “I have been working in the IT industry and know that putting everything in the one place never ends well,” Joyce says. Lukas Linecker of Carseldine in Brisbane is another, who says he and his wife decided at their son's birth that they didn’t want a health record created for him but were shocked to find out this week that one was made against their wishes. "The government wasted five hours of my time with their errors and incompetence," Linecker says. Thinking of the children: Opt-out or not? Fairfax Media has heard from dozens of families and individuals in similar situations who have found they, or their children, already have a record they did not know about or are coming up against administrative-related problems when attempting to opt-out. By Friday morning, the Privacy Commissioner had received 19 inquiries about My Health Record and three complaints. On the other hand, parents who support the system speak highly of its potential for convenience, particularly for separated families and those with sick children. Australians with allergies, chronic conditions and those who travel or are located in regional areas are also likely, government says, to reap significant benefits. In earlier trials, less than two per cent of people opted out. A major concern for some when deciding whether to opt-out their children is that while a digital health file can be cancelled when their kids grow older, it cannot be deleted; the government says it will be kept for 30 years after a person’s death, meaning future generations will not have the opportunity to choose whether they wanted a record in the first place. After cancellation, the record will, however, be made unavailable to health practitioners, but kept on archive. 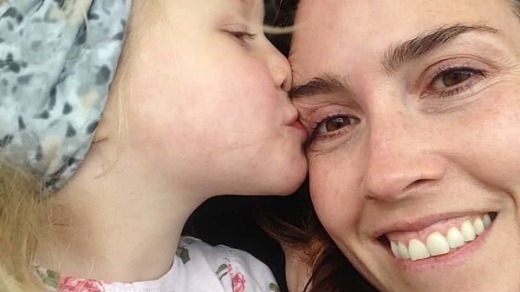 This is one of the reasons Belinda Barnet, a senior media lecturer at Swinburne University with a research background in data privacy, is choosing to opt-out her family. 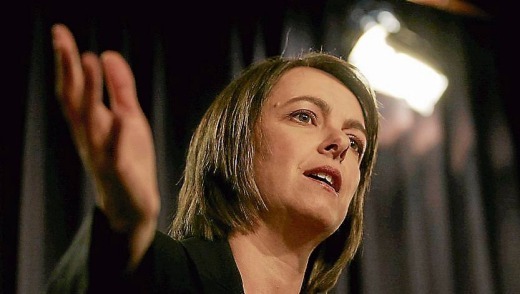 Originally, the shared record system was “opt-in”, with former Labor health minister Nicola Roxon telling an audience in 2011 that the alternative would be a “serious mistake”. Labor has since changed its position and supports opt-out, but remains concerned. 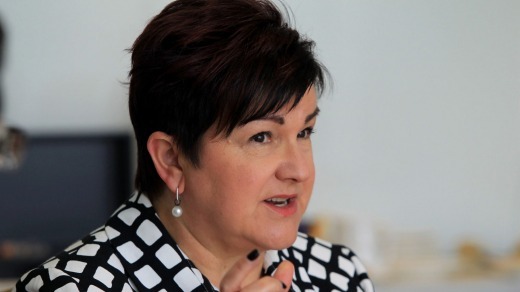 “Sadly, we think the government’s implementation of the opt-out process has undermined that public trust,” says Labor shadow health minister Catherine King. “We believe the government has failed to effectively communicate with the public about what the My Health Record is and what potential benefits it could bring. It has also failed to explain to people how their rights will be respected and their privacy protected. Could data be the best medicine? 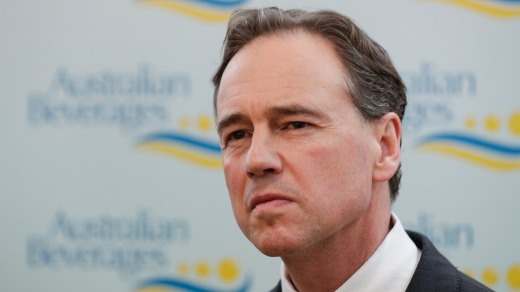 Despite the criticism, Health Minister Greg Hunt says the government has got the balance right. “My Health Record has been operating for six years and just under six million Australians are already on the system,” says a Hunt spokesman. “This opt-out approach has bipartisan support and is overwhelmingly supported by consumer and health groups in Australia. And the spokesman rejected the idea of people being signed up without their knowledge, saying: “Australians cannot have been signed up … without their consent”, adding that consent could have been provided through registering via myhealthrecord.gov.au, at my.gov.au, through a Medicare enrolment, or assisted registration though their healthcare provider (such as a GP) or at a hospital. It could also have been sought when people were registered as part of opt-out trials in 2016 in Far North Queensland or the Blue Mountains in NSW. More than 20,000 Australians opted-out on Monday, with some citing concerns about how many health professionals potentially have access, and the possibility of access restrictions being overridden during emergencies. They also had concerns that permission was not needed once they opted in, with a government document stating: “Healthcare providers do not need to explicitly obtain permission from the patient before accessing or uploading information” to their record, though patients are able to say they don’t want records uploaded. Australia’s peak bodies for mental health consumers – CoMH in WA, VMIAC in Victoria, and Being in NSW – told mental health patients to opt-out if they are in doubt. 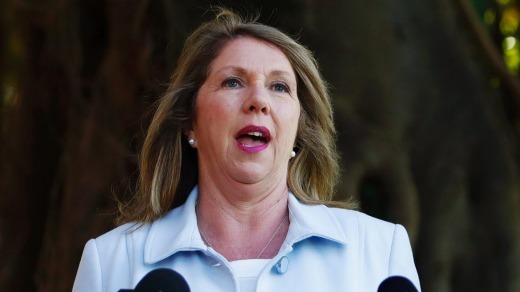 The Electrical Trade Union, which has about 60,000 members, also wrote to the Health Minister on Thursday with "an urgent request for intervention” into the My Health Record scheme that it says has the potential to put its members’ privacy at risk. Meanwhile, the Pharmacy Guild of Australia, Pharmaceutical Society of Australia, Consumers Health Forum (CHF), Australian Healthcare and Hospitals Association, and the Australian Medical Association all support the opt-out system and the virtues of what it can do for healthcare. The Royal Australian College of General Practitioners, which has 38,000 members, says it has not established a position on opt-out or opt-in but supports the system generally. They all listed convenience, improving the co-ordination of care (particularly for chronic illnesses), reducing test duplication, and lowering hospital admissions among benefits. CHF chief executive Leanne Wells described the information available on My Health Record, such as discharge care plans, as "vital". “Prompt access to a complete and current health record is particularly important for those with complex and chronic conditions requiring a range of different treatments and medicines, often urgently," Wells said. Technology experts have security concerns, with the digital health record system recording 35 reported “data breaches” in the past financial year, according to the federal Privacy Commissioner’s office – a relatively low figure given almost six million people already have a digital record. The breaches are also administrative and human error rather than security breaches, with fraudulent Medicare claims being put through on some peoples’ accounts in some instances that made it appear as though they had been prescribed drugs they hadn’t sought. Privacy and security experts in the US are astonished by the events unfolding in Australia, with executive director of non-profit organisation World Privacy Forum Pam Dixon describing it as a “dystopian nightmare” and a “huge error”. In their view, digitisation isn’t the problem, as electronic health records come with great benefits; the issue is a centralised database that could be accessed by many organisations and individuals. “Whoever said there was going to be ‘zero possibility’ of a breach will live to regret those words,” Dixon says. “The centralisation here and the way it’s being done is the issue, you don’t see other systems being created in this way and there are very good reasons for this. An expert advisor to the OECD regarding health data uses, Dixon points to then-US president George Bush pushing a similar plan in 2004, called The Nationwide Health Information Network, which failed as originally planned because, she says, the risks were too great. “The original proposal was similar to what Australia is now doing but we recognised the extraordinary risks, so a new proposal came forward for a federated system where not everyone would have access to it and because that still had risks, regional health information networks were proposed,” she says. Australians who want to opt-out can do so using their Medicare details and personal identification through the My Health Record website, help line 1800 723 471 or print forms at post offices. This article 'Errors and incompetence': Australians split over government's opt-out digital health records was originally published in The Sydney Morning Herald.